The Cybex VR1 leg press features the articulating carriage which moves backwards and tilts at the same time to provide more complete hip extension and gluteal involvement. The seat adjusts to both user height and motion range which means the machine can accommodate a wider range of users. The machine also offers an exceptionally small footprint which makes it ideal for space-limited gyms. The leg press is part of the Cybex VR1 range designed to provide strength equipment characterised by simplicity and reduced size to fit the space and budget of various commercial gyms. for submitting product information about Cybex VR1 Leg Press We aim to answer all questions within 2-3 days. 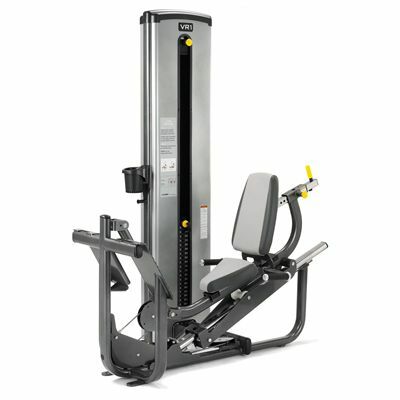 for submitting product information about Cybex VR1 Leg Press. We aim to answer all questions within 2-3 days. If you provided your name and email address, we will email you as soon as the answer is published. for submitting product review about Cybex VR1 Leg Press.